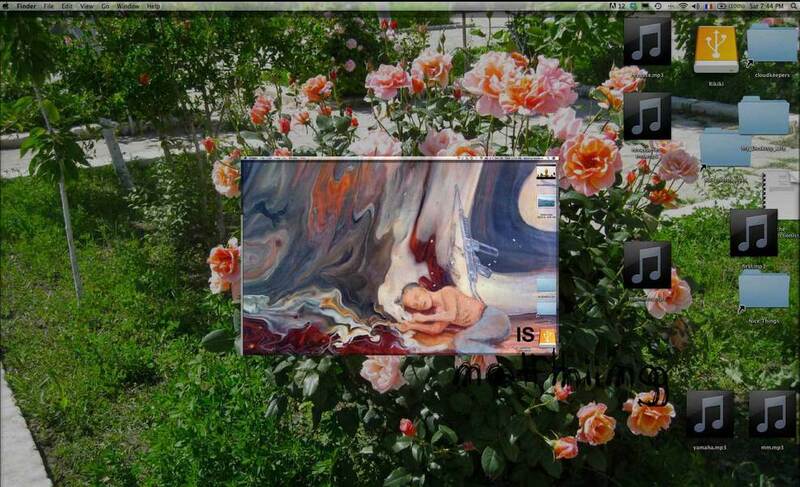 Martine Neddam: My Desktop Life, 2014. Performing the Media is the second exhibition in the framework of Net.Specific, which is the platform for internet art from the Museum of Contemporary Art in Roskilde (DK). The exhibition deals with how identity can be constructed in online space and through the tools that the net gives the artists and users to work with. The exhibition frames a broad understanding of the topic and how personal representation takes different shapes, with the web functioning as a transformative and critical space for action. The artists in the exhibition all use the internet as a departure point in their performative artistic practices, which evolve around topics like: identity, surveillance, tracking and representation. Tobias Leingruber and Johannes P. Osterhoff both work with subversive strategies to create alternatives for the user. These can both be via tools and workshops (Leingruber) or on a more conceptual level through durational performances to give insight and awareness (Osterhoff). Martine Neddam creates a more poetic alternative through narration and non-profit tools for self-representation. The internet in itself is performative through its modularity and variability. Here elements can be copied and changed in seconds, which hackers and critical artists use extensively in their practices. The internet can also be a space for actual networked performance works, which can be seen in Osterhoff’s projects and be used by artists who additionally use virtual platforms, such as Second Life or Online Games in their performances, thus not shown in this exhibition. Most of the artists that work with these practices connect physical space and digital online space, since these cannot be separated in today’s networked society. The so-called tactical and post-media artists comment on the digital culture we all inhabit and create critical alternatives and discourses for us to engage with as users. These artists are therefore an important part of a contemporary critical counter culture that exists both in the art field, as well as in a digital cultural discourse. To give this exhibition a further dynamic approach, there will be added additional materials that highlight the main topics during it’s course. The Social ID Card: Social ID Bureau, 2012. Although Osterhoff’s presence is quite specific, the position can be hard to calculate. Narrations are created from what’s on your computer desktop.